Summer is drawing to a close. The evenings are getting darker just that little bit earlier, and we now place our weather hopes in a late summer (or early autumn) burst of sunshine. Next week the schools start again, and today I start my new ministry in our hostel. And yesterday our three candidates moved to the novitiate, to their own new beginnings. Inevitably, I find myself recalling my own journey into the Society: not just the physical journey, from candidate community to novitiate, and all the intermingled emotions, hopes, fears and excitement, but the wider, deeper, interior journey which got me there in the first place. 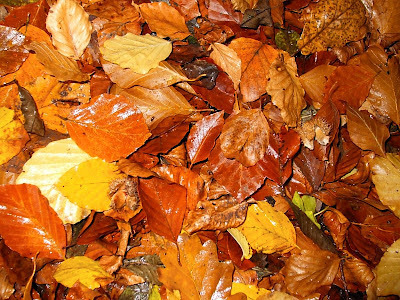 By the end of this month, whatever the weather, the autumn colours will be all around us, above and below: red, gold, russet, amber, copper, bronze, brown and every variant hue in between. Thank you Silvana, This a perfect quote for me to reflect on as I also begin a new school year with 18 students online. "The world needs love" is a quote that has surfaced often for me in many places this weekend and it is the love of Jesus that enables me to give love to my students and to all in my life. Blessings to you in your new position.